Jackie A. Allen was born August 11, 1957 in Cheyenne, Oklahoma to Opal Faye and Jack L Allen. He passed away November 16, 2016 in Clinton, Oklahoma at the age of 59 years, 3 months and 5 days. Jackie grew up and lived on the family ranch until he was 19 when he left to build fence with his brother, Johnny. He was married to Pat Bauer at his parent’s home near Crawford, OK on December 30, 1976. They lived in Vici, Oklahoma for 19 years and Jackie owned and operated Allen Fencing. In 1993 they moved to the Crawford area to make their home. He continued to build fence until retiring in 2004 and began to farm and ranch which he did until his passing. Jackie loved the outdoors and was an avid hunter and fisherman but his favorite thing to do was spend time with his grandchildren. 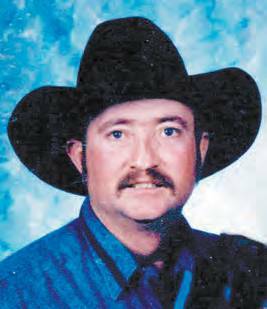 He was preceded in death by his parents, a daughter and son-law, Skyla and Michael Roark. He is survived by his wife, Pat, of the home; his son, Rocky Allen and wife, Sara, Crawford, OK; 7 grandchildren, Hunter Roark, Trapper Roark, Tenley Allen, Terra Chandler, Braxten Allen, Trey Chandler, Baye Allen, brothers and sisters, Jodie Allen and wife, Barbara, Erick, OK, Johnnie Allen, Woodward, OK; Glenda Kirk, Cheyenne, OK, Jerry Allen and wife, Nancy, Crawford, OK, Jimmy Allen and wife, Becky, Crawford, OK; his mother-in-law, Patricia Bauer, Woodward, OK; and a host of other relatives and friends.